Hudson’s Bay Canada has a greta offer to celebrate Canada 150th Birthday! Hudson’s Bay offer includes: Get FREE shipping on all orders with NO minimum. This Hudson’s Bay offer is valid today only, Saturday, July 1, 2017. 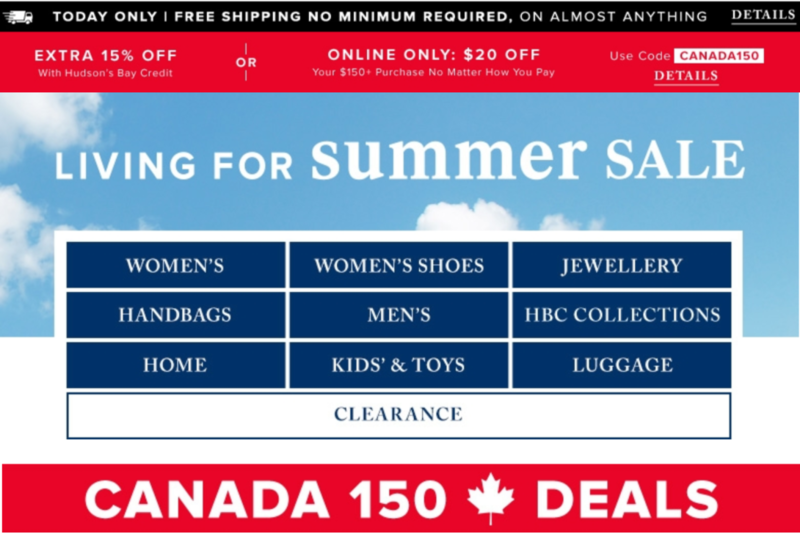 Click here to get Hudson’s Bay Canada online offers.